SFHA Development & Procurement Conferences, 12 and 13 February 2019, Doubletree by Hilton Glasgow Central. This year’s SFHA Development & Procurement Conferences are taking place on 12 and 13 February at the DoubleTree by Hilton Glasgow Central. The annual SFHA Development Conference will look at how housing associations can build on their successes to ensure that they meet Scotland’s housing needs today and in the future. The conference will also explore the wider social value of quality affordable housing, and look at support for new build developments to increase the social, environmental and health benefits provided by quality affordable housing. As the housing association sector works to meet the ambitious 50,000 homes target, we will look at the progress towards the target, housing beyond 2021, innovation and modernisation, and delivering better places. The conference will also be a chance to hear details of SFHA’s initiatives to support housing associations as we think about what housing and new build affordable housing will look like in the future. The third annual SFHA Procurement Conference will look at the main strands of work to improve public sector procurement and how they have affected housing associations. The conference will ask about the major challenges, the opportunities for housing associations, and the support available from SFHA, our partners, and the Scottish Government. The conference will also look at the review of the procurement in public sector construction, procurement frameworks, procurement capability assessments, collaborative procurement, issues on terminology used on ESPD, the shape of the future including Brexit, and much more! 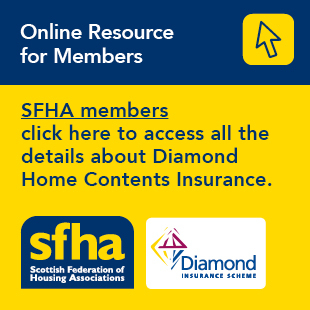 The conference will also see the launch of a Community Benefits Guide for Housing Associations written by SFHA and Scotland Excel. Both conferences take place at the DoubleTree by Hilton Glasgow Central with the Development Conference on 12 February and the Procurement Conference on 13 February. Delegate fees start at £219 for SFHA members for both conferences. Why not book to attend both the Development Conference and the Procurement Conference for just £375 – a saving of £63! For more information or to book a place, please visit www.sfha.co.uk/whats-on.